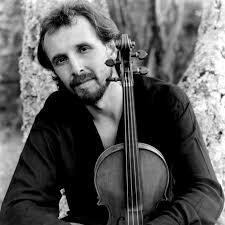 Born in Algeria, Gilles Apap was raised in Nice, France, where his violin studies commenced with Andre Robert. He continued his education at the Conservatoire de Musique de Nice with Gustave Gaglio, and then at the Conservatoire National Superieur de Lyon with Veda Reynolds. He traveled to the United States to attend the Curtis Institute of Music, and chose in 1986 to live in California, where he still resides. He was later appointed Concertmaster of the Santa Barbara Symphony Orchestra and served in that position for over a decade. With his first ensemble, The Transylvanian Mountain Boys (Sony Classical), Gilles shook the classical music scene with his unparalleled interpretations of classical works arranged for violin, viola, guitar and double-bass, interspersed with traditional folk tunes. Having spent the intervening years as a soloist performing in concert halls around the globe, Gilles Apap once again shook the classical music community when in 2006 an excerpt appeared on YouTube showing him playing his unique cadenza to a Mozart violin concerto (from the film “Gilles Apap Plays the Mozart Violin Concerto #3” , produced by Ideale Audience International). As a soloist, Gilles has appeared with the Berliner Symphoniker, the Bern Symphony Orchestra, the Israel Philharmonic, San Francisco Symphony, Istanbul Symphony, Hungarian Symphony Orchestra, Geneva Chamber Orchestra, Orchestre d’Ile de France, Russian National Orchestra, Dresden Philharmonic, Vancouver and Winnipeg Symphonies, Tokyo Mozart Players, Boston Philharmonic, amongst many others. The Colors of Invention, founded by Gilles Apap in 2000 and featuring Gilles on violin, accordionist Myriam Lafar, double-bassist Philippe Noharet, and cymbalum player Ludovit Kovac, continues to dazzle audiences worldwide with the musicians’ virtuosity and exceptional arrangements of Vivaldi’s Four Seasons and other classical favorites, intertwined with the world’s traditional folk music. This popular ensemble has played at concert halls and music festivals on several continents. Together with his performances, Gilles Apap is much sought-after to lead workshops and masterclasses, and has done so at the Music Academy of the West (USA), Indiana University (USA), Malmo Music Academy (Sweden), La Grenier de la Mothe (France), Lisbon University (Portugal), Geneva Conservatory (Switzerland), the Mark O’Connor Fiddle Camp, Festival Aguascalientes (Mexico), and many others. In the fall of 2006, he joined internationally acclaimed Irish fiddler Kevin Burke in a U.S. tour with the Celtic Fiddle Festival. He has also worked with Indian classical violinist Dr. L. Subramanian, gypsy musician Roby Lakatos, jazz violinist Didier Lockwood, and flamenco dancer Belen Maya, to name a few. Gilles continues to bridge the gap between classical and folk music. The DVD documentary Apap Masala, one of several produced by Ideale Audience International, is also available. These films about Gilles Apap are shown regularly on television stations in the USA and around the world.